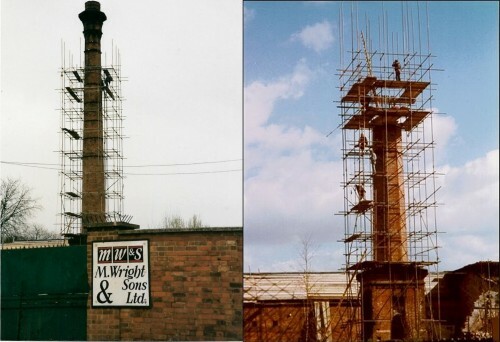 The last mill chimney in Quorn was removed in 1998. It stood close to where the current developments are and the base is still visible. Some of the stonework and bricks were used to create brick planters in the Cross and also sculptures around the village.